BIRTH OF A TWISTER Radar data combined with visual observations of this tornado that struck El Reno, Okla., on May 31, 2013, are offering new clues into how such twisters are born. WASHINGTON - Tornadoes may form from the ground up, rather than the top down. That could sound counterintuitive. Many people may picture a funnel cloud emerging from the bottom of a dark mass of thunderstorms and then extending to the ground, atmospheric scientist Jana Houser said December 13 in a news conference at the American Geophysical Union meeting. Scientists have long debated where the wind rotations that lead to twisters in these thunderstorms begin. Now Houser, of Ohio University in Athens, and her colleagues have new data that upend this "top-down" idea of tornadogenesis. The supercell thunderstorms that can spawn tornadoes form where a powerful updraft of warm, moist air - such as air moving northward from the Gulf of Mexico - gets trapped beneath a layer of colder, drier air - such as air moving southward from Canada. That's an inherently unstable condition, but the other necessary ingredient for tornadoes to form is wind shear: fast-moving winds that move the air masses, causing them to rotate horizontally. Air then rising through the supercell can tip the rotation from horizontal to vertical - creating conditions ripe for a tornado. But the very moment of twister birth remains largely elusive. Tornadoes can form within just 30 to 90 seconds, so research on how they start is often limited by not quite getting to the right place at the right time to watch a twister actually being born - and her team was no exception, Houser said. 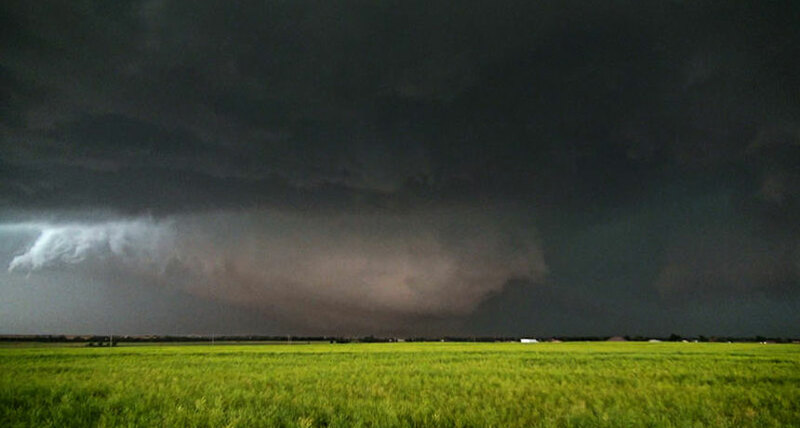 But using a rapid-scanning Doppler radar mounted at the back of a truck, the team managed to capture the full evolution of four tornadoes, including two powerful twisters that struck near El Reno, Okla., one on May 24, 2011, and another on May 31, 2013. The radar, which collects data every 16 seconds, showed that rotating winds for the 2011 storm appeared to start at multiple levels in the atmosphere at once, rather than starting high up and moving downward. For the 2013 storm, tornado-strength rotation actually began at the lowest measured elevation, about 20 meters above the ground. By 60 seconds later, the rotation was at a height of about 3.5 kilometers. Crowdsourced still and video images of the El Reno storm also revealed a funnel near the ground - even before the radar was able to capture it. Houser team's discovery that the 2013 storm had a funnel long before the radar saw rotation is "a pretty compelling finding," says Leigh Orf, an atmospheric scientist at the University of Wisconsin–Madison. But, he says, that twister was such a particularly "unusual, rare, weird, bizarre storm" that he would hesitate to use it as an indicator of typical tornado behavior. "In my scientific view, there are likely different modes of tornadogenesis," Orf says. He notes that his own simulations of the 2011 storm match Houser's finding that that particular tornado seemed to develop rapidly spinning winds at multiple altitudes at once.